SAINT PAUL, Minn. (May 12, 2010) – Despite the massive distraction of this weekend's theatrical release of Iron Man 2, CodeWeavers, Inc., a leading developer of software products that turn Mac OS X and Linux into Windows-compatible operating systems, today announces it has completed the development of CrossOver Games 9.0 for both Mac and Linux. 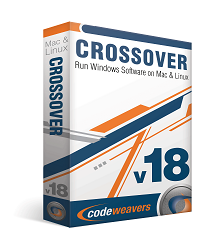 CrossOver Games allows Windows games to be used on Mac and Linux PCs without the need for a Windows operating system license. 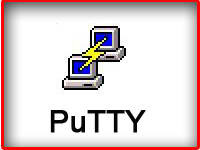 enables users to install games from a single screen and a single click on CodeWeavers' compatibility center. Historically, CodeWeavers programmers complete a software upgrade with a straight 96-hour burn fueled by Red Bull, Twizzlers and vending machine pretzels. The release of CrossOver Games 9.0 marks the first time CodeWeavers launched a new version of its software amidst the release of a blockbuster summer film, which typically grinds production to a halt as CodeWeavers programmers camp outside the theater for three days to secure the best seats on opening night. "It's corporate policy that we schedule our software releases during weak spots in the movie calendar. Early Fall. Late Winter. Like, when a Meryl Streep film comes out," said Jeremy White, CodeWeavers chief executive officer. "What can I say? I screwed up. I got confused. I forgot about Iron Man 2. "Hence the anomaly for this week's release of CrossOver Games 9.0, which also enables gamers to download installation 'recipes' directly from the CodeWeavers online Compatibility Database, located at C4.codeweavers.com," White added. "If another CrossOver Games user figures out how to use CrossOver to install a Windows-compatible game, he can upload this installation recipe to our database. For gamers using windows, that means they can switch to Mac or Linux without much worry. "Our programmers were enraged at the scheduling conflict, though many snuck out late Friday afternoon to catch – spoiler alert here – Iron Man take down Whiplash," White said. To ensure programmers continued working Saturday and Sunday without break, White created a makeshift "electric whip" to emulate Mickey Rourke's character's weapon of choice. "Essentially, it was 48 strands of 28-inch stripped coax cables sewn into the fingers of an Ace Hardware work glove," White said. "I walked around cubes in our office screaming 'full Steam ahead, minions!' in a mediocre Russian accent while swinging the whip. It worked, more or less." "At around 9 a.m. Sunday morning while quietly writing code at my desk, White's whip snagged me just below the groin on my left leg," said Jon Parshall, chief operating officer at CodeWeavers. "Ugh. Fourteen stitches plus the pitiful sight of a grown man writhing on the floor in his own pool of blood," White said. "Hopefully sales of CrossOver Games 9.0 will help pay his medical bills." CrossOver Games 9.0 is download-only and can be purchased for $39.95 at www.codeweavers.com. Founded in 1996 as a general software consultancy, CodeWeavers focuses on the development of Wine – the core technology found in all of its CrossOver products. The company's goal is to bring expanded market opportunities for Windows software developers by making it easier, faster and more painless to port Windows software to Linux. 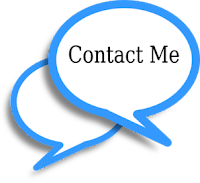 CodeWeavers is recognized as a leader in open-source Windows porting technology, and maintains development offices in Minnesota, the United Kingdom and elsewhere around the world. The company is privately held. For more information about CodeWeavers, log on to www.codeweavers.com.